^ a b Coolidge, Austin J.; John B. Mansfield (1859). A History and Description of New England. Boston, Massachusetts. pp. 364–367. http://books.google.com/books?id=OcoMAAAAYAAJ&lpg=PA9&dq=coolidge%20mansfield%20history%20description%20new%20england%201859&pg=PA364#v=onepage&q&f=false. ^ Jones, Robert C. and Register, David L. (1987). Two Feet to Tidewater The Wiscasset, Waterville & Farmington Railway. Pruett Publishing Company. ^ Funding Universe: "CENTRAL MAINE POWER History"
^ Boothbay Register: "Possible Mason Station abatement", August 17, 2012. Jones, Robert C. and Register, David L. (1987). Two Feet to Tidewater The Wiscasset, Waterville & Farmington Railway. Pruett Publishing Company. Moody, Linwood W. (1959). The Maine Two-Footers. Howell-North. Barney, Peter S. (1986). The Wiscasset, Waterville and Farmington Railway: A Technical and Pictorial Review. A&M Publishing. Wiggin, Ruth Crosby (1971). Big Dreams and Little Wheels. Ruth Crosby Wiggin. Wiggin, Ruth Crosby (1964). Albion on the Narrow Gauge. Ruth Crosby Wiggin. Thurlow, Clinton F. (1964). The Weeks Mills "Y" of the Two-Footer. Clinton F. Thurlow. Thurlow, Clinton F. (1964). The WW&F Two-Footer Hail and Farewell. Clinton F. Thurlow. Thurlow, Clinton F. (1965). Over the Rails by Steam (A Railroad Scrapbook). Clinton F. Thurlow. Railroad Commissioners' Report. State of Maine. (1895, 1896, 1897, 1898, 1899, 1900, 1901, 1902, 1903, 1904, 1905, 1906, 1907, 1908, 1909, 1910, 1911, 1912, 1913 and 1914). Wright, Virginia. 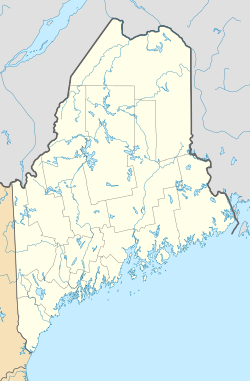 “What About Wiscasset?”. Down East: The Magazine of Maine (August 2010). Cronk, Debbie Gagnon and Virginia Wright (2010). Red's Eats: World's Best Lobster Shack. Down East Books.